"Utilizing a mixture of Electronic, Pop, Rap, and Rock, Icon For Hire creates a sound that is very unique all their own, making You Can't Kill Us their boldest release to date." "Lyrically, each and every song is incredibly vulnerable and transparent, but without trying too hard to be universally relatable. The fact of the matter is, the issues addressed on this album are struggles that countless people face every day. It's real, and that's what makes it such a great listen." 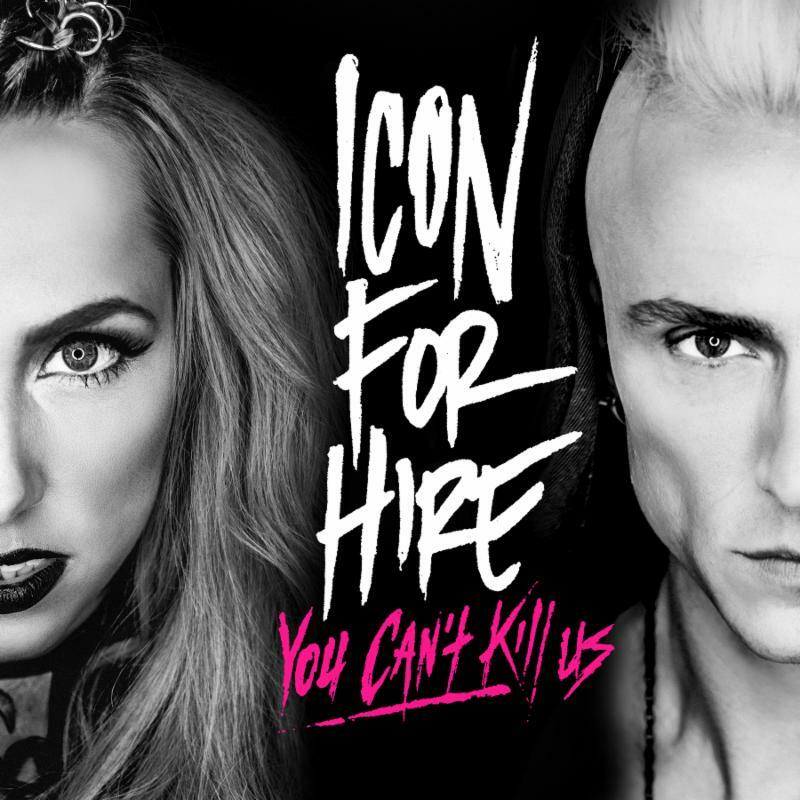 Alt-rock duo Icon for Hire has released their brand new album "You Can't Kill Us." Fans can stream the album, which was self-released on Nov. 25, in full now, here: goo.gl/8kQSo6. Icon for Hire has previously been featured on idobi Radio and PureVolume for singles "You Can't Kill Us" and "Invincible," respectively. For more informationor to purchase "You Can't Kill Us," please visit: iconforhire.net/album. Albums purchased via the band's site include an exclusive audio clip of vocalist Ariel reading an excerpt from her forthcoming book "Turn Your Pain Into Art," due out 2017. The band said, "We created You Can't Kill Us directly for our fans, which made us get more vulnerable than ever. Mental health, self-harm, addiction-no topic was off limits in the pursuit to connect with our listeners in the deepest way possible." Combining alternative rock with electronic and hip-hop elements, Icon for Hire presents a unique sound in the 21st century musical landscape. The band, consisting of vocalist Ariel and guitarist Shawn Jump, formed in 2007 following a chance meeting. They released their first full-length album Scripted in 2011, and followed it up in 2013 with their self-titled Icon for Hire, which reached #66 on Billboard's Top 200 albums chart. In June 2015, Icon for Hire gained independence from their label, and performedon all of Vans Warped Tour for the second consecutive year. Earlier this year the band launched a Kickstarter campaign in support of their new album "You Can't Kill Us." The campaign went on to become the highest funded music campaign of 2016 to date, raising $127,000 of an initial $2,016 goal. 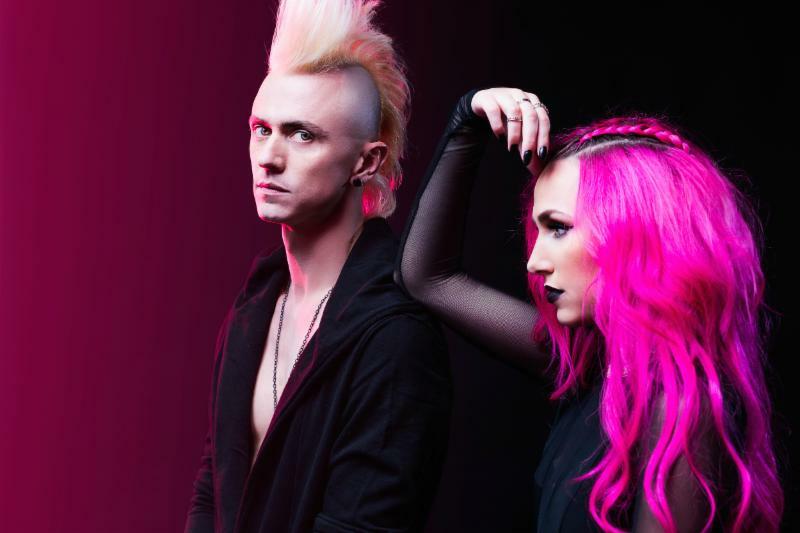 Since then, Icon for Hire has been releasing three new tracks from the forthcoming album every three months. 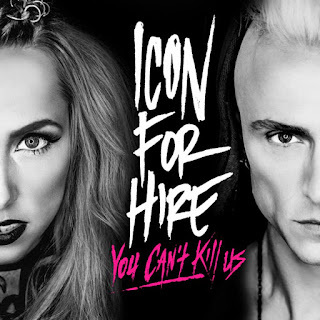 Icon for Hire released their new album "You Can't Kill Us" on Nov. 25.